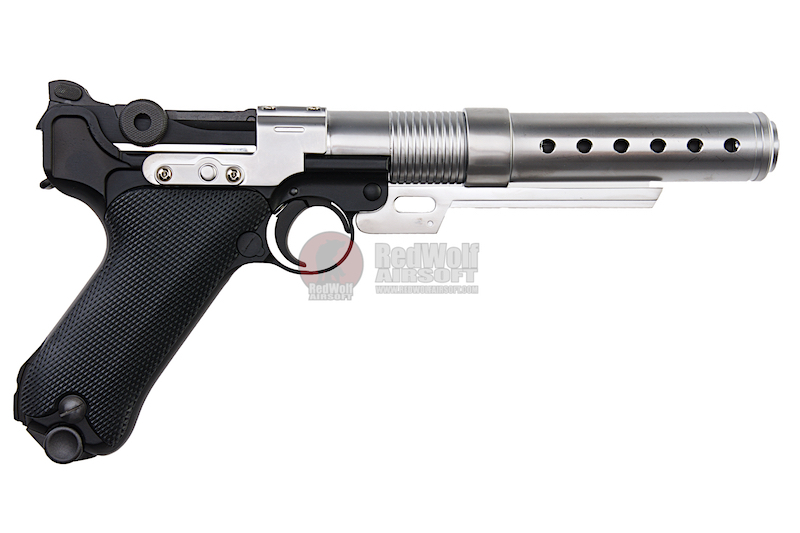 Faithful recreation of the A180 Blaster from the Star Wars Saga. 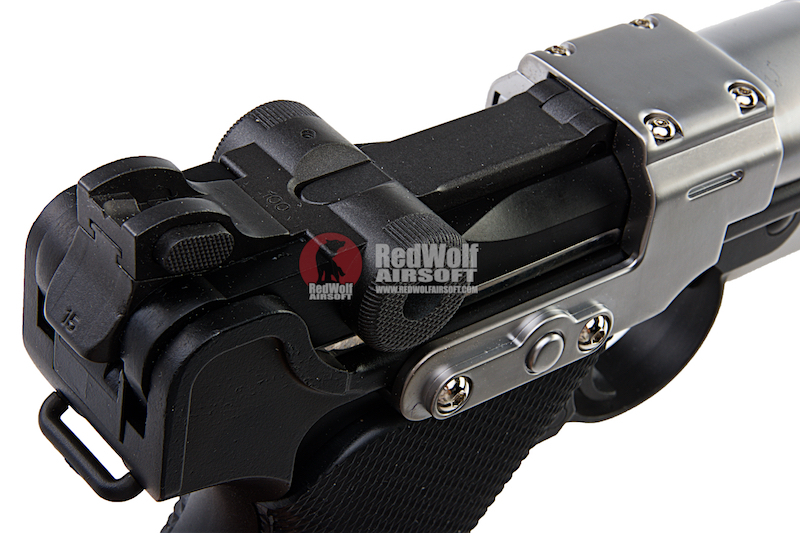 Magazine Compatibility - WE and AW Custom Lugar P08 magazines. 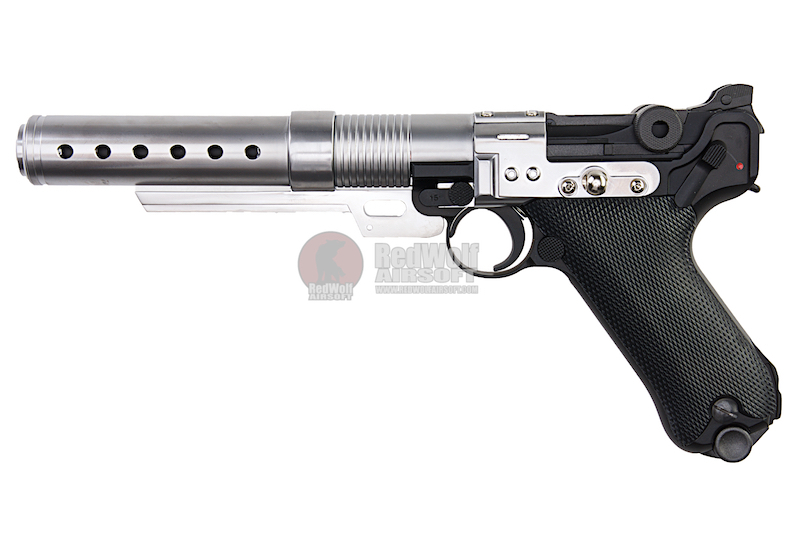 The A180 pistol was a blaster pistol manufactured by BlasTech Industries. It boasted a highly versatile design which could be easily reconfigured into a blaster rifle, sniper rifle, or ion launcher depending on the situation. Used during the reign of the Galactic Empire, one such pistol was wielded by Jyn Erso of the Alliance to Restore the Republic. Decades later, the A180 was used in its sniper configuration by Resistance forces. With the AW version, you dreams of owning a piece of the Alliance and the Republic can be come a reality. 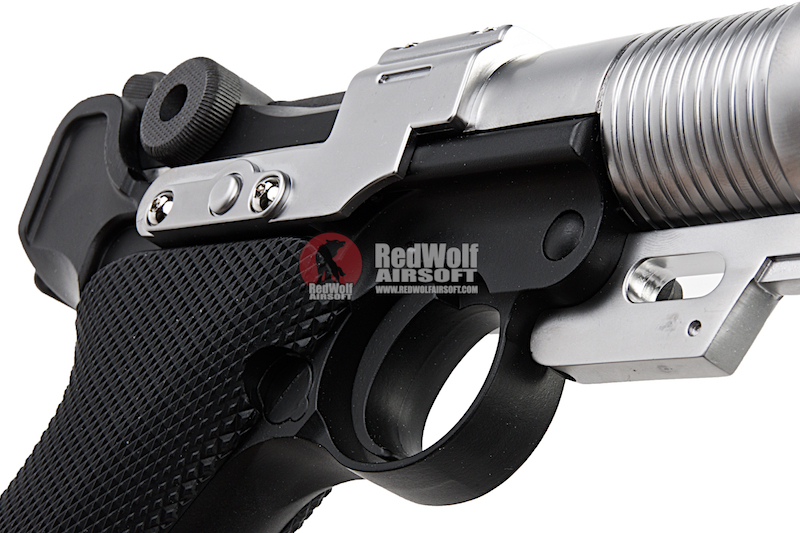 The fully functional pistol is based on an airsoft version of the Lugar P08 and functions exactly like one. 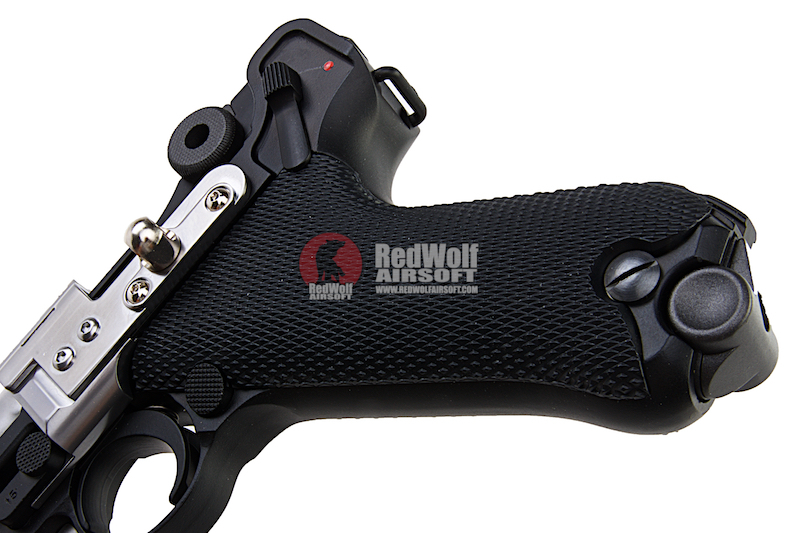 The recoil is snappy and with its general lightweight construction the gun feels incredibly comfortable to hold. 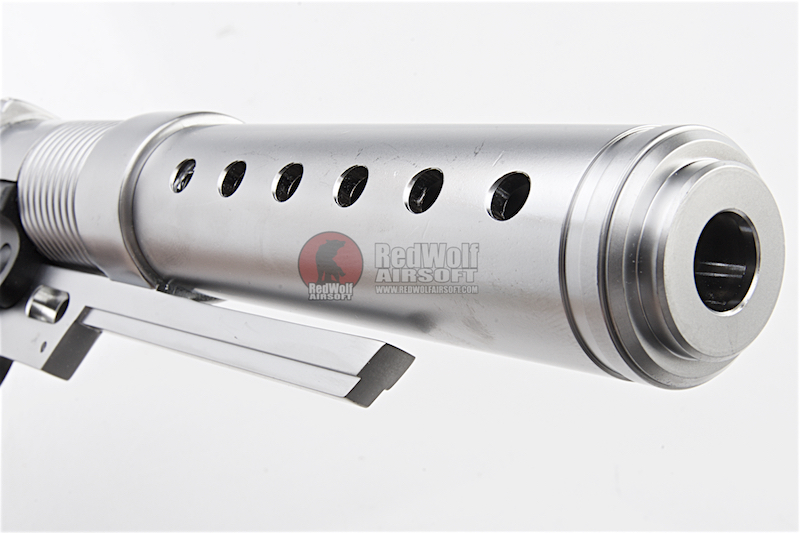 The front muzzle device is made out of ultra lightweight aluminum thus adding no much extra weight to the front of the gun. While it may not shoot laser beams, it sure looks the part. 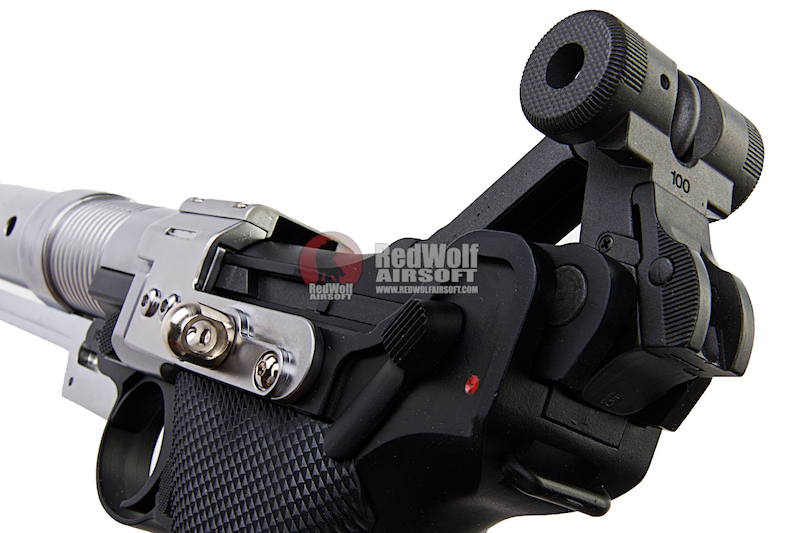 Armorer Works was founded in 2015 to meet a growing demand for high-quality, precision-engineered Airsoft guns and accessories. Creating pistols for competition, collection, and gaming uses, there is bound to be something for everyone inside each package.